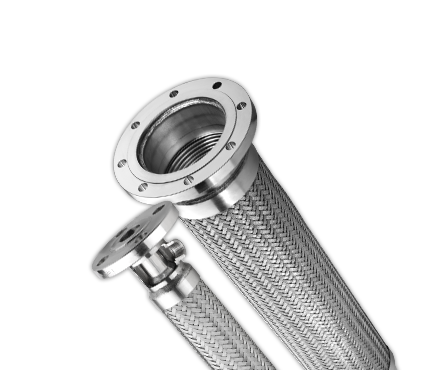 Our chlorine transfer hose assemblies are constructed of alloy 276 and are specifically designed, produced, and tested to meet the strict demands of both wet and dry chlorine transfer applications. With considerations made for both wet and dry chlorine, these assemblies are the safest available. ChlorSafe™ assemblies are manufactured in compliance with the Chlorine Institute Pamphlet 6, Appendix A, latest edition. 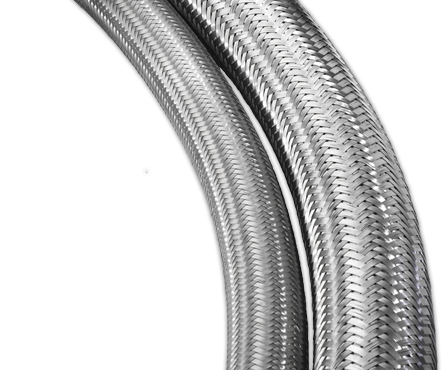 Example: AF6760 = 276 annular corrugated metal hose with a single C276 Braid. Every assembly is helium mass spectrometer leak tested to at least 5.0 x 10-6 std cc/sec. 1 Kenneth M. Pruett, Chemical Resistance Guide for Metals and Alloys: A Guide to Chemical Resistance of Metals and Alloys (Derby: Compass Publications, 1995), 93.